These Halloween treats are super easy, plus you can make them ahead of time so that you have more time for partying. 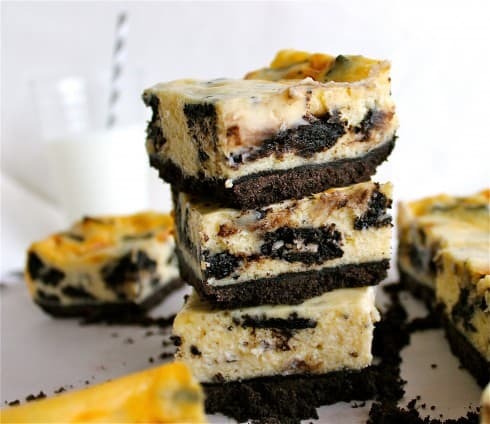 Crushed Oreos are layered with a 3-ingredient no bake cheesecake that you can tint any color you want. Isn’t that the best thing ever?? I laughed so hard when I read this. Cmorgan in the UK, whoever you are, thanks for following, and thanks for the laugh. Cheers to those of you reading this at work right now. YOUR BOSS IS COMING CLICK AWAY!! Just kidding. If you are throwing a Halloween party this year, these easy Cheesecake Parfaits are a great make-ahead treat! 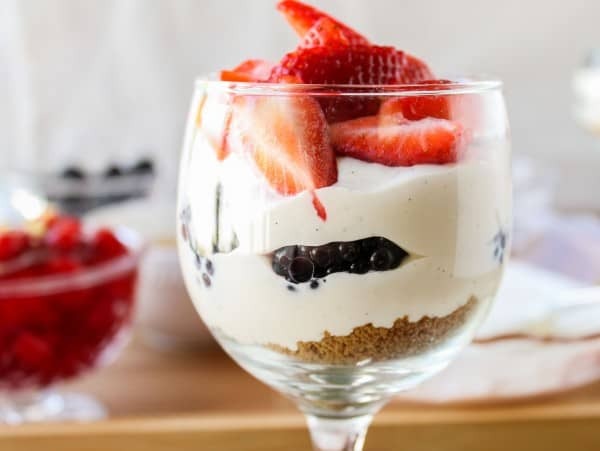 They are a spook-ified version of these super easy No Bake Cheesecake Parfaits, one of my favorite party desserts of all time. 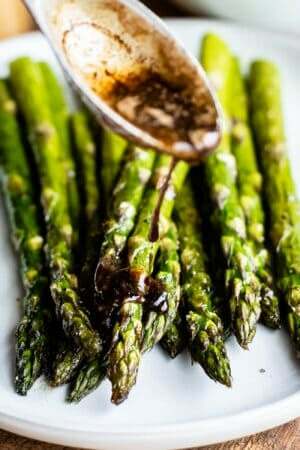 You can make them a few hours in advance (or let people assemble their own! ), and they are totally adaptable to whatever candy you have on hand. I found the ghost peeps at Rite Aid, and made some really sophisticated tombstones out of graham crackers and frosting. Happy Halloween everyone! P.S. This idea was originally posted on I Dig Pinterest last week on September 29th. My friend Christine is doing an awesome Halloween Extravaganza that I contributed too. Be sure to check out some of the other posts, it will give you some fun ideas for Halloween! 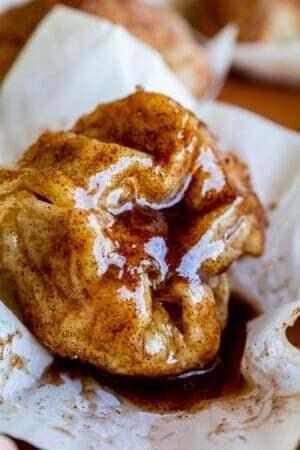 In a large mixing bowl or stand mixer, beat the cream cheese on high until it is fluffy, at least 2 minutes, scraping the sides and bottom well. 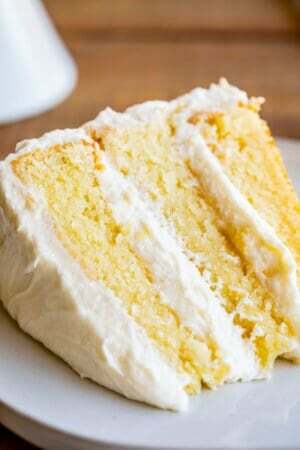 Add the can of sweetened condensed milk and vanilla and beat until smooth. Add the food coloring. Use as much or as little as you want to get the desired color. (You will probably need more than you think, but start small just to be safe.) Beat well. Crush the Oreos in a food processor (or smash them in a ziplock with a rolling pin). In a clear glass, add layers of Oreo, cheesecake, and candy, if you want. To make the graham tombstones, I just used a knife to cut a quarter of a graham cracker so that it was rounded on the edges. I added store bought frosting to a plastic bag and snipped off a tiny corner to pipe on the "RIP." 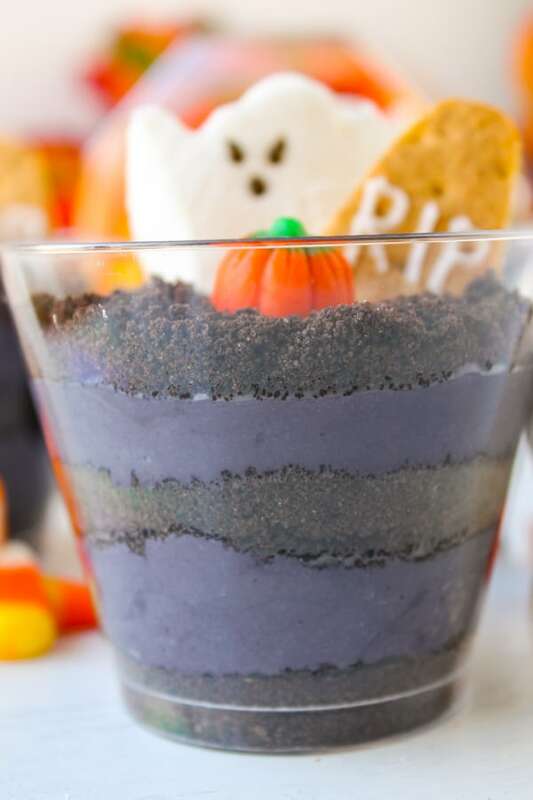 Be sure to use Oreo crumbs as your top layer so that it looks like graveyard dirt! *I used black gel food coloring and it came out purple. Still a Halloween color, I'll take it. :) Gel food coloring intensifies after even just a few minutes, so if you're not sure about the color, give it a few minutes to see if it gets darker. « Previous PostThe Food Charlatan’s New Blog Design! These are just the cutest!!! Oh my goodness, I can’t stop smiling! :) definitely going on my list of things to make next Halloween. OMG best message ever! Honestly, I read your blog at work too, to deter myself from jumping out the window to escape my job. 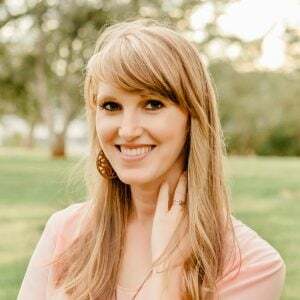 Look at all the lives you’re saving through this blog. These cheesecake parfaits are so damn cute. Easy ‘n perfect for Halloween. So stinkin’ cute! Such a great message :) It definitely would soften the blow to know they still follow! Karen, that is too funny about the unsubscribing message… and so sweet at the same time. That must have just made your day! 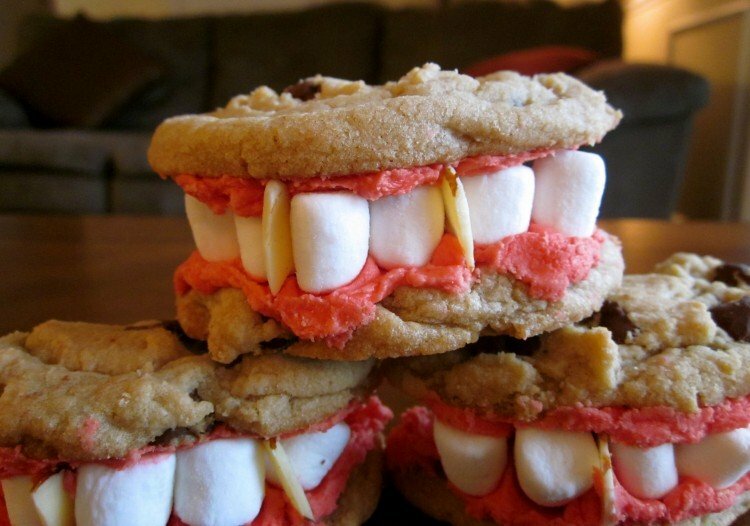 What a fun treat for the kiddos Halloween party! How adorable are these parfaits?? I never knew there were Halloween-themed Peeps! LOVE that comment from your follower! The note would totally make my day – how sweet. I am thinking you’ve found a die-hard follower. I love how much love that subscriber is getting ;). Hopefully it makes his/her day a little bit better while they’re still working at that boring job! And, um, these parfaits would totally made my day. They’re so stinkin’ adorable!!! Haha that’s hilarious! Love it! haha oh my gosh I love that message!! That’s so how I felt at my last job – it was so miserable and reading blogs got me through the time! And loveee these parfaits – so so fun! Cuteness! I love eat kid treats. Way too cute. My kids would LOVE these! That comment would have made my day! What a sweet lady. I hope she reads this post and feels a little bit famous for the shout out. I read my blog posts at work too. Shhhh, don’t tell anyone! Thanks Elizabeth! I agree, and you can’t get much easier than this! That’s what I aspire to, really, Erika. Distracting people from doing their jobs. Ha!! That is seriously an awesome email! Lame work is so overrated, right?! Nice to hear that Cmorgan got to move on. Thanks for more awesome single-serve dessert inspiration. I’m kind of in love with that. Amen Christina! The first time I ever visited a food blog I was at work. Preeeeetty sure I owe my boss money for the work I didn’t do that day. And hooray for single desserts! Thanks Peter! Halloween is the best. 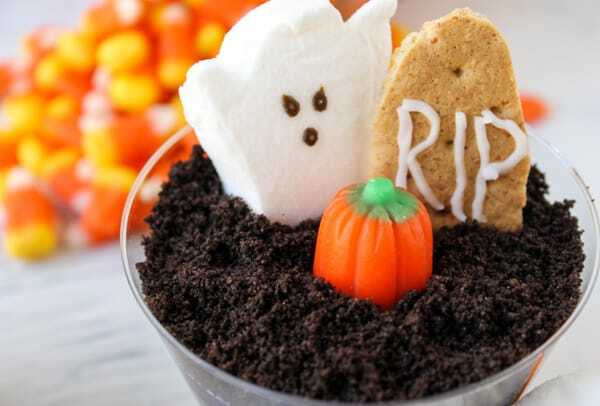 When I make these, I use Nutterbutter cookies as tombstones; just stick half of it in the parfait. I’ve also used Cookies ‘N’ Cream Hershey bars for a marbled tombstone look, and strategically place pretzel sticks for a crumbling fence (or dead trees). I’ve never made individual one before, though. I usually just do a giant graveyard scene in a 9×13 that people have to dig into. Thanks for inspiring me to change it up this year. Nutterbutters!! Why didn’t I think of that!! Love the pretzel stick idea too, so fun. 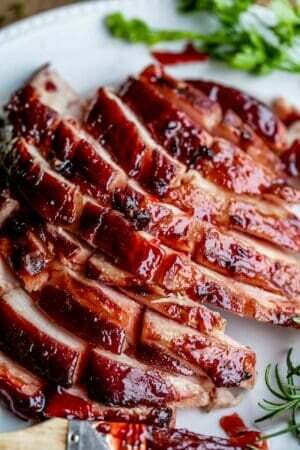 This would be really good in a dish all together too, I never thought of doing it that way. I wonder what size this amount would fit into…8×8? 8×11? Probably. Thanks for the idea Kelly! PS I miss you and your feisty children. Too fun! I just read this at work! Cmorgan in the UK is awesome!! what a great email to read! 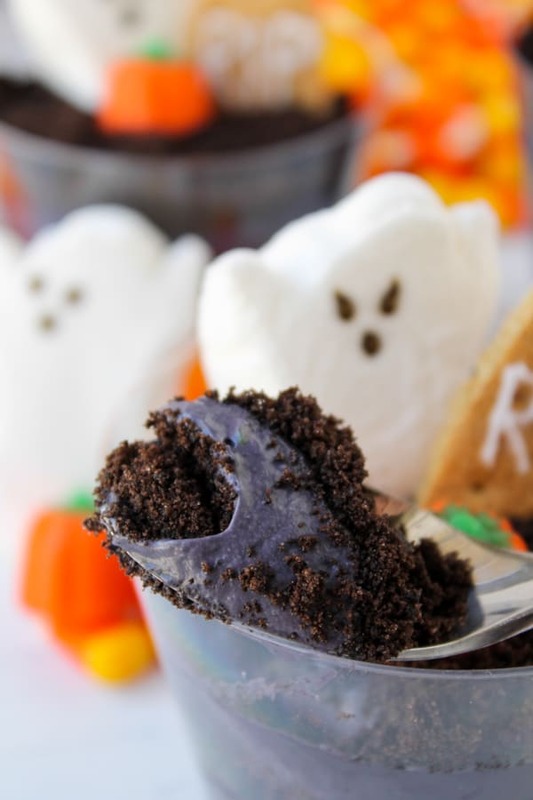 and LOVE these halloween cheesecake parfaits!!! like, I LOVE them!! Pinned!! Thanks for pinning Alice! You rock. Haha! I usually get so sad when I see someone unsubscribe, but this comment would MAKE MY DAY. 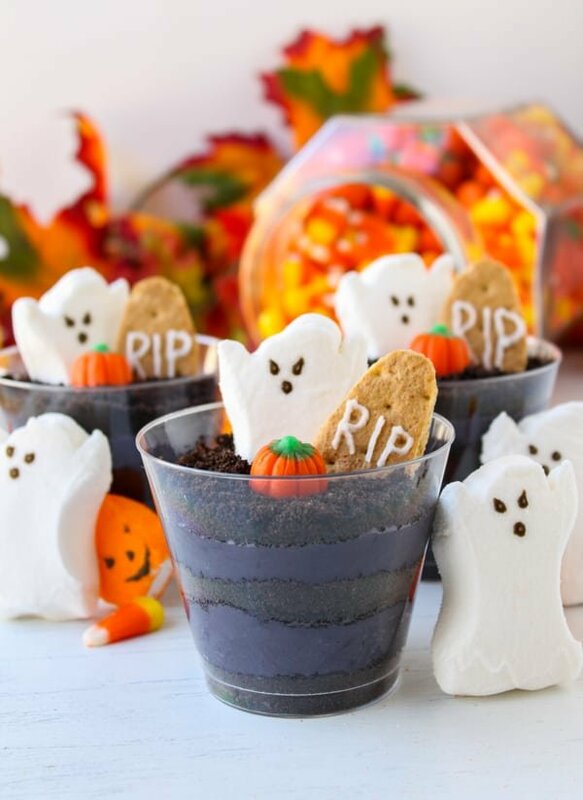 These little spooky parfaits are just too cute! You’re making me want to throw a Halloween bash just so I can make them. Thanks Sarah! Please, throw a Halloween party so that I can crash it. YOU KNOW I WILL. Ps thanks for being a night owl with me. You don’t have to crash because you’ll be a VIP guest. Duh. Oh and you’re in charge of the parfaits. kthnx. Okay, I will come wearing a huge parfait costume too. That wouldn’t be overkill at all or anything. And in a wicked turn of events, I’ll make sure everyone else knows it’s not a costume party. PS. Yay for threaded comments!